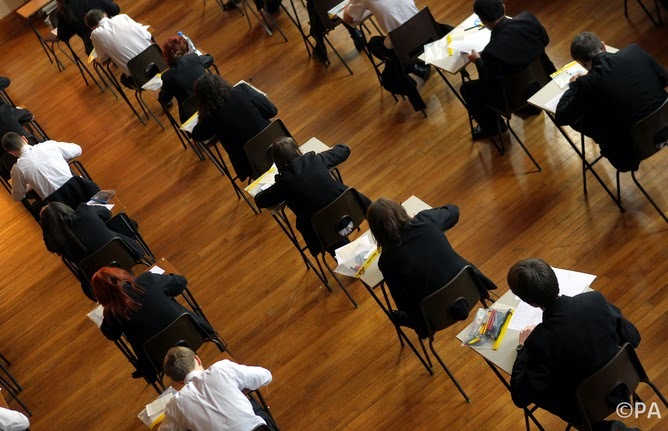 As thousands of 15 and 16-year-olds prepare for their GCSEs, new research has found that children who display inattentive behaviours at age seven are at risk of worse academic outcomes in these examinations. This was the case even after their IQ and their parents’ social and educational backgrounds were taken into account. The results of our study, published in the Journal of the American Academy of Child and Adolescent Psychiatry, were based on analyses of behavioural and academic data of participants in Children of the 90s, a population-based study at the University of Bristol. The research team, from the universities of Nottingham and Bristol, studied more than 11,000 children. Childhood behaviour problems can be apparent to parents and teachers during the early years of primary school. These include difficulties such as inattention, poor concentration, being easily distracted, losing interest easily, daydreaming, not listening or being disorganised. They can also include oppositional or defiant behaviours, such as frequent temper tantrums, arguing with adults and not doing as adults ask. Few representative large-scale studies have assessed whether these behaviours pose an independent risk for educational achievement during adolescence. It has not been clear whether the risk of lower grades from increasing levels of inattention applies across the whole population, or only for those children with the most severe problems, such as those with attention deficit hyperactivity disorder (ADHD). In the study, parents and teachers completed questionnaires about the child’s behaviour at age seven. These assessed a range of different behaviours including inattention, hyperactivity/impulsivity and oppositional/defiant problems. This information was then compared with the children’s academic achievements by looking at their GCSE examination results at age 16. We also took the child’s IQ and parents’ education and socio-economic status into account as these are linked with both early behaviour problems and academic outcomes. We looked at the impact on children’s GCSE results in two ways. First, we looked at how many had achieved five “good” GCSE grades – five A*-C grades including English and Maths. This is a minimum expected level to access further education and is a key indicator that is published in school league tables. We found that for each one-point increase in inattention symptoms (based on a full scale of 0-18) at age seven, there was a 6-7% increased likelihood, on average across the whole sample, of not achieving the minimum level of five “good” GCSE grades at age 16. Second, we looked at how children fared using a common points system relating to the best eight grades achieved – this involves an additional six points for each grade increase. We found that for each one-point increase in inattention symptoms, there was a reduction of 2-3 points (up to half a GCSE grade) in total GCSE points achieved. Looking at the GCSE results in either of these two ways, the relationship with inattention was linear – each one-point increase in inattention symptoms on the 0-18 scale increased the risk of worse academic outcomes. This increase was the same across the full range of inattention scores in the sample, from those with the lowest to the highest level of inattention ratings. The effects of these early difficulties applied across the whole spectrum of inattention scores, social position and academic ability. After levels of inattention were taken into account, we also found that, in boys, oppositional/defiant behaviours at age seven posed an additional risk to academic achievement. For each one-point increase in oppositional/defiant behaviours among boys in our sample, there was also a reduction of 1-2 points in total GCSE points achieved. Although behaviours were assessed in this study at the age of seven, it is possible that inattentive behaviours might have persisted into the teenage years and so had an influence on grades. Inattention may impact on how academic skills are gained and developed during early school years. Academic demands tend to increase in the teenage years with a greater need for sustained attention and so the negative impact of inattention on educational achievement may be magnified. The findings of this research have a range of implications for parents, teachers and clinicians. Adults should be aware of the long-term academic impact of behaviours such as inattention and the tendency to be distracted. This impact applies across the whole spectrum of inattentive behaviours, not just for those with the most severe problems. If parents are aware of these risks relating to their own child, they can highlight any concerns to teachers. Teachers should take these concerns seriously. They are well-placed to spot inattentive behaviour in the classroom and discuss with parents ways to best help the child with their learning. For older children, approaches from teachers and parents might include helping with organisational skills, time-management, minimising distractions, prioritising of class work and home work, and building in regular planned breaks when studying or doing revision.